Today on Tuesday 8th March another match of World Cup in Group A is taking place between Pakistan and New Zealand in Kandy Sri Lanka. 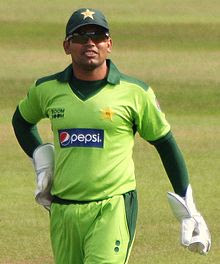 In the match New Zealand has won the toss and elected to bat first against Pakistan. Current score of New Zealand is 150 for losing 4 wickets in 37 overs. Ross Taylor is batting on 57. He is very lucky as Pakistani Wicket Keeper Kamran Akmal left his two catches. New Zealand will be hopping to get a total near 260. It will be interesting to see how Pakistan will chase the total later on in the evening. Copyright © 2013 . Powered by Blogger. Pakistan's Test Team Captain Misbah Ul Haq Making Sign of Victory Before First Test Match With West Indies. Indian Cricket Team Young Batsman Virat Kohli New Wallpapers Collection. Here is in great form now a days.